Cleopatra is legendary. Cleo is unforgettable. Step inside the striking, pyramid-shaped entrance, and you’re transported by the intoxicating aromas of the open kitchen and its central brick-covered oven. A dramatic pitched roof, Moroccan tiles and chandeliers, white marble counters, and emerald-green curtains create a warm elegance. In this enlivening atmosphere, Chef Danny Elmaleh showcases his acclaimed contemporary Mediterranean cuisine of seasonal shared plates, mezzes, and flatbreads, complemented by a selection of handcrafted cocktails and unique wines. 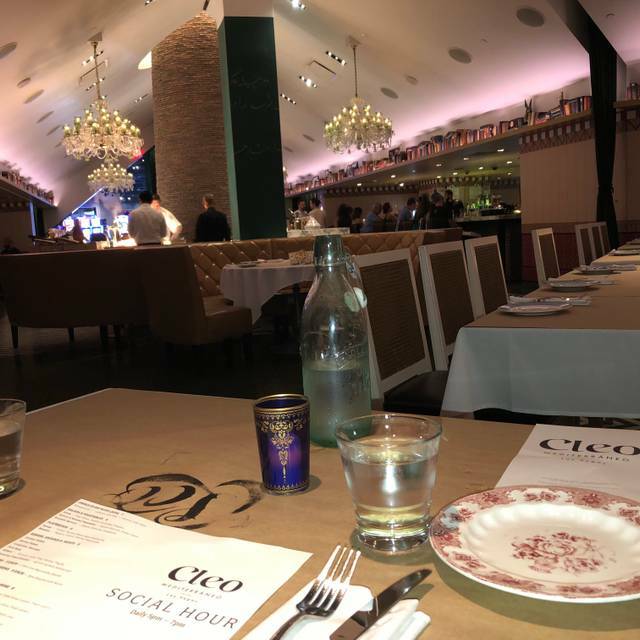 Hailed as “one of the most distinctive restaurants to arrive on the Boulevard in years” by Vegas Magazine, Cleo is a one-of-a-kind dining destination. Its ok food ! Service very bad ! Price is high for the amount of food. We were in Las Vegas for a short mother/daughter trip. Cleo was the perfect choice for us after a long day of shopping. 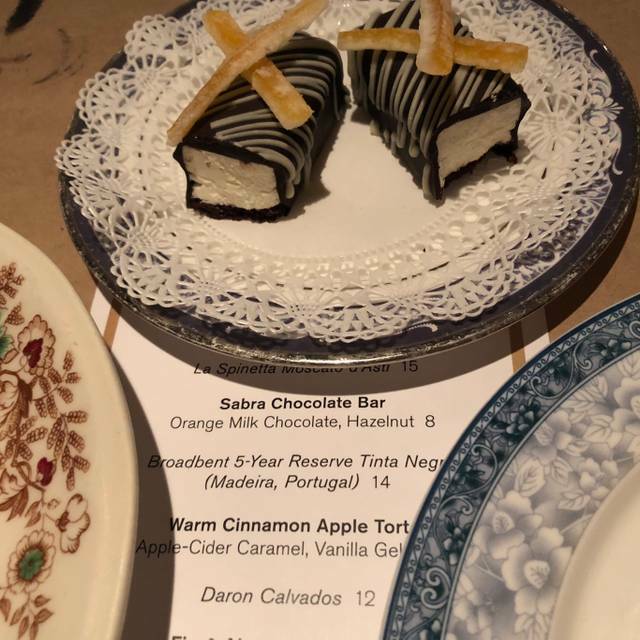 Our waitress was very considerate and helped navigate the menu so that our selections accommodated our food eccentricities. We enjoy the experience greatly. We chosen the Restaurant because we wanted to eat Vegetarian and the food was absolutely amazing. So tasty, delicious. We had great service and delicious food while we waiting for our show at LAS to begin. Cleo's is my lady's favorite restaurant. We went for her birthday dinner. 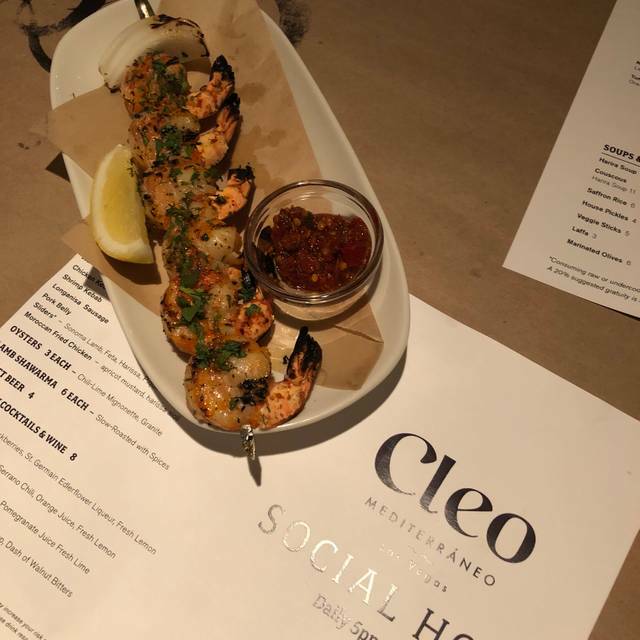 We have been to Cleo's a number of times before and have always been pleased. This visit can be an addition to our pleasant experiences. As per usual the food was superb, the service efficient and non-obtrusive, the atmosphere elegant with a tolerable noise level. We of course shall return especially since we live just down the block from the restaurant. Great food and a great atmosphere to share with friends. We had a reservation for our anniversary but this was a disaster. A, we had a server who suggested we should order 4-5 dishes right off the bit, which by the way was a waste. We never received our first order, even after the server himself asked us if we’ve received it 3 times and finally after the dinner was over and yes, still not in, we asked to remove it from the bill, only to see it still there. Anyways, this wasn’t what we had hoped to experience on our anniversary and rest assured, no way we’ll step a foot in this establishment. DELICIOUS. Lebaneh with feta, Greek salad, brussel sprouts (the one on the vegetable menu). Lamb shawarma. Grilled branzino. AND Sticky Toffee Pudding (MUST try even if you dont like or want dessert, like a rich juicy small cake, a la mode.) Very good wines and cocktails as well. It used to our favourite Resturant and we go there each time we go to Vegas. Our favourite Brussels sprouts dish was soaked with vinegar and way too salty. They seems to season all their dishes with vinegar. The waitress was over worked as she has too manny tables that she was serving and took my dish and forgot to replace it. it was most disappointing and we will not go back again. This restaurant never fails us. The food , service , quality every time is spot on. We have tried their entire menu over several visits and love it. 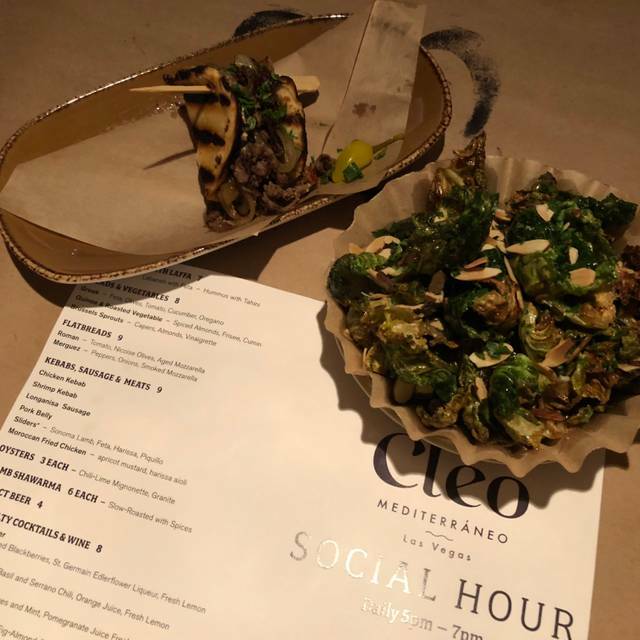 There are very few jewels like Cleo here in Las Vegas. A big shout out to our server Manny who always takes good care and provides excellent service. Delicious Mediterranean Food. They had a great menu with so many options. The service was perfect and the drinks were also good. Not as we expected from looking at the online menu. 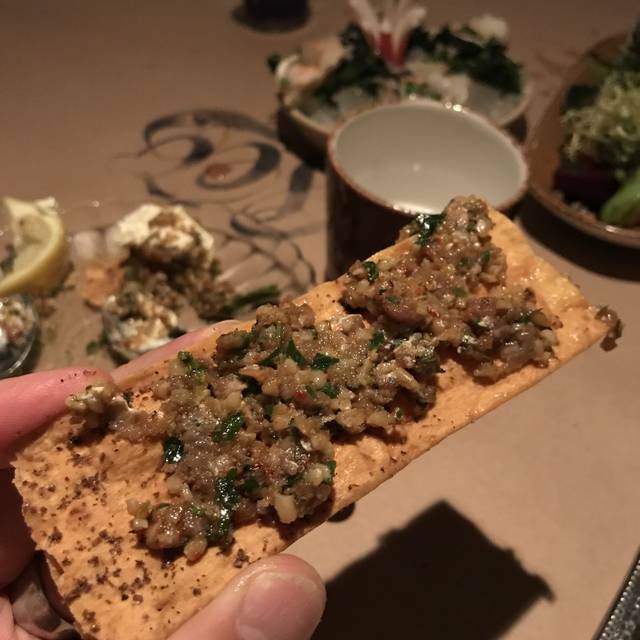 Is actually small plates to share which can add up on the bill. Although the food was very good, it is not my method of choice for dining out. We come here every time we are in Vegas for work. It is generally outstanding. On this occasion, the food was still fantastic but the service was abysmal. 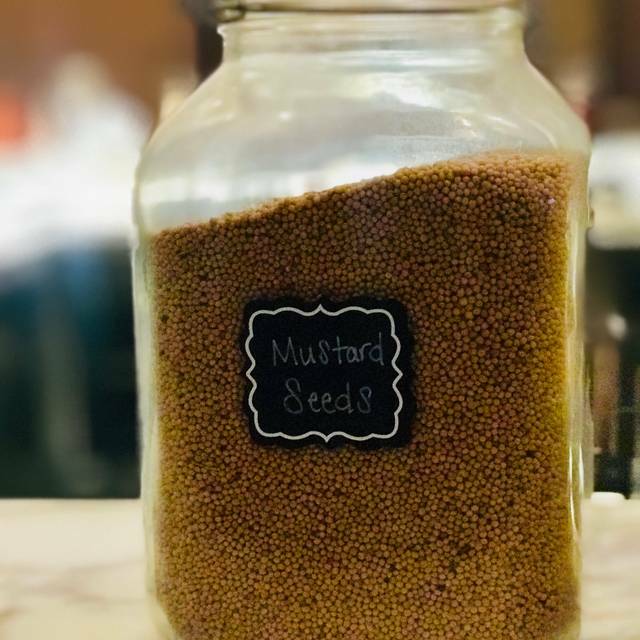 Our regular server seemed a bit overwhelmed, the food runners dropped food on our table about as quickly as possible, and the manager nearly shoved a chair towards the table when we asked for an extra (and not even in the obvious open space). Time to look for a new regular spot in Vegas. Food is average at best, noise level is high. Scallops were seared black on one side and not seared at all on the other side and very “rubbery”. The cauliflower was over-seasoned and the Hummus is just ok. Nothing hit the above average factor. Waitress was nice and the highlight of the meal. Food was good, but felt the price was too high for the quantity. The drinks were very weak and overpriced. Food excellent and the whole dining experience was excellent! Food was really good...tasty. Same quality as always and really good service.... Define try you need to try this place!!! Food was great, cocktails were good. Overpriced though...by about 25 percent by Vegas standards. The restaurant was very busy when we arrived but they were very accommodating and the service was attentive. They made some recommendations that we were very happy with. The spicy cigars and the octopus were stand outside. The food came out extremely fast so if you are looking for a leisurely dinner you might mention it or pace your ordering. We had a table for 4 in the private dining cove. It was FABULOUS. 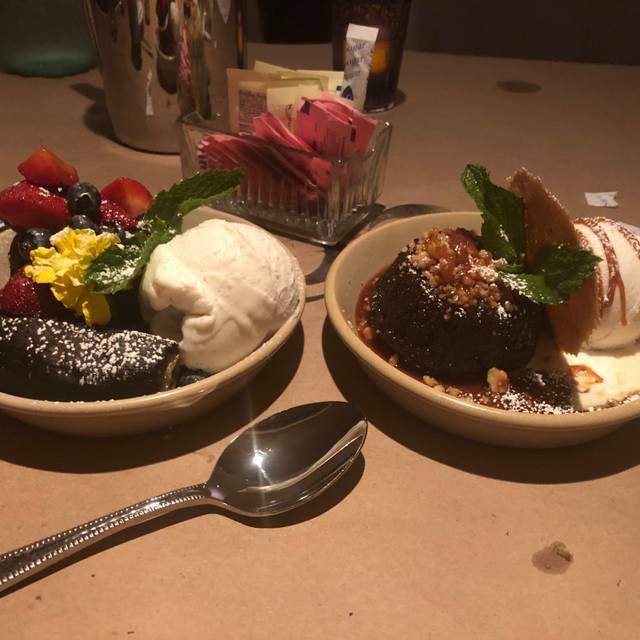 The service, food and overall experience was memorable. We enjoyed every minute of it. We came here for Christmas Eve dinner, and as usual had a wonderful meal. However, service was a bit off that night, which is unusual for Cleo. 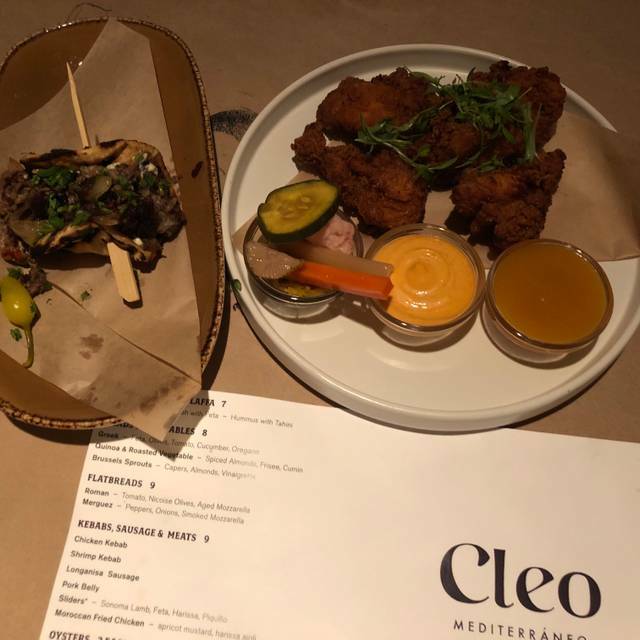 When we got to Cleo, there was no one at the front desk for a couple of minutes, leading some customers to walk into the restaurant to ask for help. Once we were seated, it took awhile before someone came to our table to provide menus and drinks. Finally, one of our orders was forgotten and had to be added towards the end of the meal. One of the best restaurants in town. Best hummus in the country. Amazing brussels spouts leaves (the side dish, not the starter). Brilliant chicken tagine with preserved lemon. Charming small dining rooms for 4-6, with privacy drapes. We have Mediterranean quite frequently, so I guess we're spoiled. 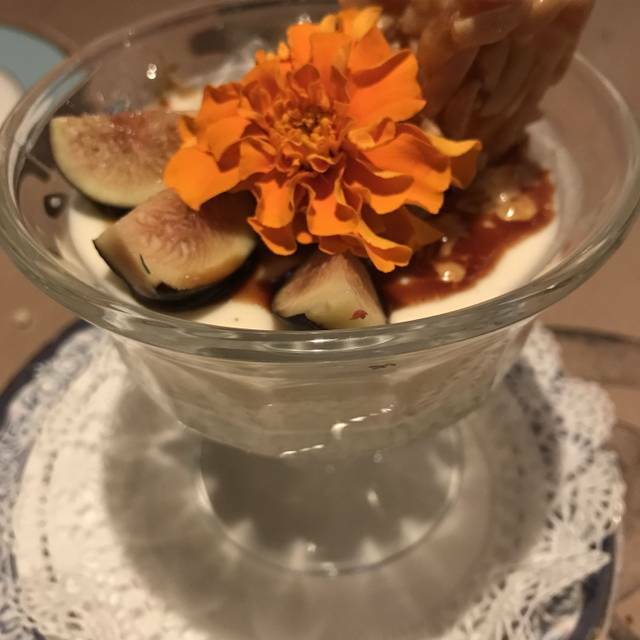 We had dinner with five people, so sampled A LOT, including several desserts. The food was good but not amazing. Service was fine, but they forgot one dish, pacing of dishes wasn't optimal. Overall, it was good, but I'd expect more at such prices. Stayed at SLS so wanted to try this restaurant. Quiet atmosphere with good food and great service. I love coming here every time I stay at SLS. Delicious as usual! One of my faves. Probably the best meal I’ve had in Vegas. I tasted flavors I’ve never tasted before. Chicken Tagine was incredible, as was the Hummus. Staff is, extremely, professional and courteous in every respect. Thanksgiving Levantine style. Warm atmosphere and delicious food. Great service by Jessica and others. Price is fairly high, but for a special dinner acceptable. One is tempted to sample more than they can consume! Kelsie is an amazing manager and I love Cleo more and more every time I visit! The Hanger Steak is a must have! For the price lf the food i expected MORE food. The server told me the salad is “big”. It couldnt even pass for a side salad. Manager walked around and never even mentioned our conerned. I would not recoomend this at all very poorly. Lovely decor, we had a booth with a spectacular chandelier overhead, very nice food and a wonderful server, very attentive and helpful, sweet manner.